The Adirondack Park Agency will decide this week on the final classification for land the state recently obtained from the Nature Conservancy in the Adirondacks. Early this year, NYS closed on a land purchase obtaining more than 18,000 acres of land in the Adirondacks. It is the first of 69,000 acres to be transferred to the state by the Nature Conservancy over the next five years. The Park Agency Board of Commissioners will meet this week to determine the final classification of the lands, and reclassify up to 24,000 acres of existing Forest Preserve land. The parcels include the Essex Chain Lakes tract, the Indian River tract, the OK Slip Falls tract and the OSC tract. The agency’s staff is recommending a Preferred Alternative that would provide mixed classifications for the lands. The Hudson Gorge and OK Slip Falls areas would be designated wilderness. Recommendations also include a snowmobile trail along an existing gravel road. Float planes would be allowed on First and Pine Lakes due to a previous agreement. Adirondack Council Executive Director Willie Janeway supports the mixed classification that’s likely to be approved. "It protects in perpetuity thirty thousand plus acres of the most ecologically sensitive land and waters in this area in the Essex Chain and the Hudson Gorge, and that was the most important thing we want. Clearly, this recommendation doesn't have everything we'd hoped for. But we are glad that the APA staff has developed a proposal for the commissioners that blends the most important needs environmentally while also being sensitive to some of the other stakeholders." Hamilton County Board of Supervisors Chair Bill Farber believes the APA is accommodating the multiple comments to create a higher level of protection for critical environmental areas, while protecting the economic vitality of the communities. "This is a different type of classification than many that we've seen in the past where it was all or nothing. It was all wilderness, it was wild forest. I think to the credit of the APA, it looks like they were listening. There's really a lot in this for everybody." Protect the Adirondacks Executive Director Peter Bauer applauds the new 23,000-acre wilderness area, one of the largest created in the last 40 years. "There’s clearly a benefit to the public from the Essex Chain Lake's primitive area classification. This will be a largely motorless area. There'll be some incursions from motor vehicles on the periphery. We're very concerned about a number of other lesser aspects to the classification. There will be a snowmobile trail that runs through the very heart of the property. 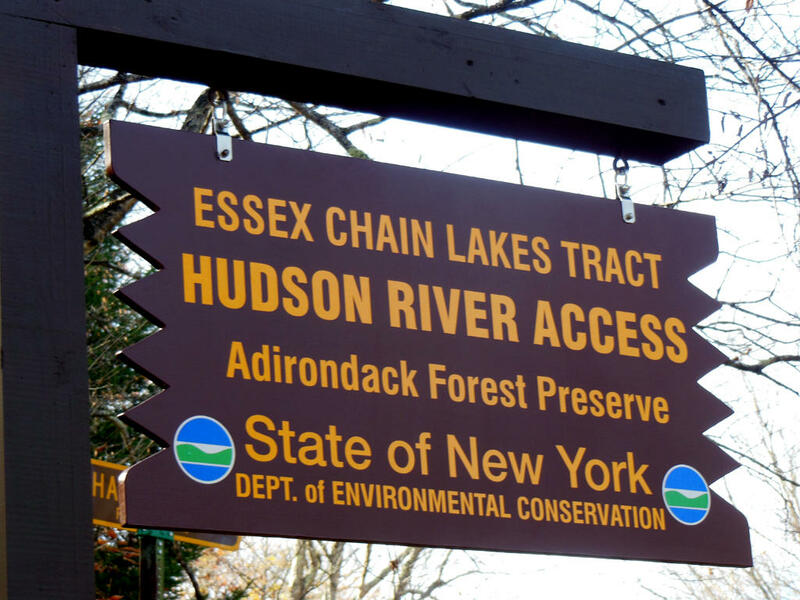 And we're very concerned about bridges and roads over the Hudson River and the Cedar River, which we think raise serious issues with the wild, scenic, and recreational rivers act." The APA Board will begin the final review of the land classification on Wednesday. The monthly meeting, normally scheduled for two days each month, will last three days. A link to the webcast is available here. More than 11,000 acres of Adirondack lands opened for recreational use this week. It’s the first time the lands have been accessible to the public in over 100 years.